The Modi government is afloat with many initiatives and missions to make the people’s life simpler. Digital India is one such initiative. The government has instructed the department of Telecom to provide wi-fi access to public in cities with more than 1 million population. That means that irrespective of 3G or 4G, you can still stay connected online without any hassles. The proposition is not vocal about the chargeability for providing wi-fi access, however many believe that it’s certainly not going to be a free public wi-fi. The department of Telecom is currently reviewing the ways to implement this proposition. The DoT has also considered creating a separate licensing system for interested private telecom operators. 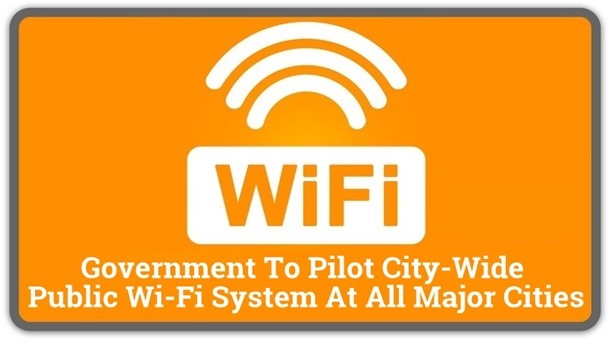 This is a big push towards creating wi-fi enabled cities which is soon to become a reality. Though many cities globally provide the public wi-fi access free of cost, the government seems to be working out a figure to please the public and the telecom companies. One of the major advantages of hosting wi-fi connectivity in public places like bus stops, railway stations, malls etc means not having to depend on the telecom networks. Also many telecom networks are offloading data services onto wi-fi networks to divert the data traffic. This means hosting towers , base stations will reduce. Telecom operators like Vodafone and MTNL have rooted many hotspots in the metro cities to make sure their telecom networks are free of many such data congestions. It is believed that this opportunity can bring in other private cable networks like Hathway, Spectranet, Tikona, ACT Broadband into the picture to help offload the data. Though many call this proposition a “populist” move, the DoT still remains positive about charging it’s users. The charges are yet to be determined. Earlier this year, Bangaloreans were thrilled to know the state government has given way to promote free public wi-fi in some major locations in Bangalore. But faced many security issues and the wi-fi connectivity is a story told and forgotten among fellow Bangaloreans. A similar project was rolled out in Patna too in February 2014, where the Bihar government introduced a 20 km free wi-fi zone but this project also met with a failure on account of the connectivity and security issues. One of the biggest threats in providing public wi-fi is the securing data because data theft, hacking, phishing are new epidemic of internet generation. The data transmitted and received on public wi-fi platforms may not be safe and this still remains the DoT’s major concern in enabling public wi-fi. Also if the public wi-fi is made free, the server failures will substantially increase due to a large pool of users, so the DoT considers paid public wi-fi is the way to go. Though the proposition is definitely a good one, the little consequences that come attached like privacy of data and securing data must be tackled by the government. Considering our large population, this measure is sure to paste a smile on many faces. Why is this failure or even have security issues? They offer a few hundreds few MBs per day (I guess it’s enough for mobile surfing). However, there is some connectivity issues but it works fine most of the time. Thanks for putting forward your comment. Slow transmission of data and power failures are symptoms of failures. But I really pray to be wrong because having the longest ie 20 km long public wi-fi is a matter of pride for the whole country!